Yi Jin Jing is a qigong set and like most other qigong sets it should be practiced with a relaxed spirit and peaceful mind. The mind should thus follow the movements and should be coordinated with the circulation of qi with the body’s movements. Meanwhile concentration is required to accompany individual movements. The mind should be focused on the Mingmen point at the back of the waist while fixing the eyes on the upper palm during the routine 4 of Plucking a Star and Exchanging a Star Cluster. The mind should be focused on the palms during the Black Dragon Displaying Its Claws routine. and when expanding the arms and chest and relaxing the shoulders during the Nine Ghosts Drawing Swords routine. This is because the chest cavity expands and contracts during these movements, and should be allowed to do so freely and to the full. The reason for this is because the chest cavity expands and contracts during these movements, and should be allowed to do so freely and to the full. Movements should be appropriately firm and gentile instead of going to extremes. Whether with too much force or with too much slackness. The range of movements and extension of postures in Yi Jin Jing are adaptable for all ages working from easier to more difficult. When squatting and pressing the hands down during the Three Plates Falling on the Floor routine, the sound “HAI” is made. By doing this the practitioner helps move the breath and vital energy to the Dantian. It also has the advantage of avoiding restraint of the lower limbs caused by the squatting motion and upward flow of air back to the head. It also helps to strengthen the Dantian and the kidneys. 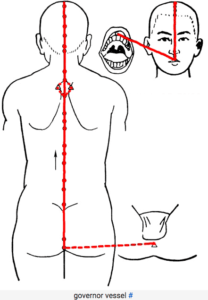 The sound should be produced from the throat and concentrated at the Yinjiao point of the upper gum. Full video teaching the Yi Jin Jing from the Chinese Health Qigong Association. This article has been based on the information provided from the Chinese Health Qigong Association. 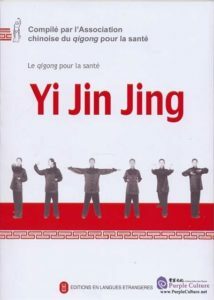 If you would like to learn Yi Jin Jing there are a number of special qigong retreats where this is possible. Yi Jin Jing is an exercise from ancient China. The features of this classical traditional Chinese health practice include extended, soft and even movements that flex the spine invigorate the limbs and internal organs. As an exercise it should be performed in a way that integrates the mind, body and spirit, during the practice practitioners must remain relaxed. If you would like to learn Yi Jin Jing there are a number of special qigong retreats where this is possible. This article details guidance from the Chinese Health Qigong Association on how to best perform the exercise. According to some historians the Yi Jin Jing has its origins in primitive shamanistic rituals. Prototypes of these basic movements where found in a 2000 year old text called Illustration of Qi Conduction. 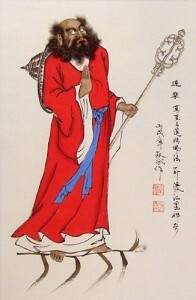 Others however, credit Bodhidharma the Indian Buddhist monk and originator of Shaolin Kung Fu with the creation of the Yi Jin Jing. Whether this is true or not it is undisputed that the monks of the Shaolin Temple played a significant role in the evolution of the Yi Jin Jing exercises. “The earliest account of the modern 12 movement exercises is included in the Illustrations of Internal Exercise compiled by Pan Wei in 1858 in the Qing Dynasty. As traditional Yi Jin Jing relies heavily on traditional Chinese medicine theory of the Five Elements – metal, wood, water, fire and earth – different schools of the exercise have sprung up emphasising this aspect in many works.” – Chinese Qigong Association. A full range of motion is required related to the bones and joints. Bones are flexed and muscle groups along with tendons and ligaments are stretched. The result leads to improved blood circulation and nutrition supersession in the soft tissues. Thus enhancing mobility and strength in all directions. The modern version of the Yi Jin Jing links the 12 movements making the exercise both easier to understand as well as graceful. Limbs are flexed in curved natural range with the joints axis. When strength is required it is applied gradually combined with a tenderness of movement. The Yi Jin Jing movements focus on the spines, vertebrae, ligaments and the spinal cord through twisting and stretching movements. The movements must be done with a relaxed body and mind in order to gain the most health benefits. These benefits include improved fitness, prevention of disease, longevity and improved intellect. Qigong is an essential component of Traditional Chinese Medicine and a powerful system of healing. It is the art and science of using breathing techniques, gentle movements, and meditation to cleanse, strengthen, and circulate the life energy (qi). Qigong practice leads to better health and vitality and a tranquil state of mind. Qigong can also be called nei gong (inner work) and dao yin (guiding energy). The documented history of this health and longevity art qigong goes back approximately 2,500 years. 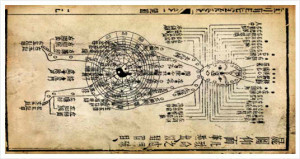 However Chinese archaeologists and historians have found references to qigong-like techniques at least five thousand years old. Qigong is an essential component of Traditional Chinese Medicine and a powerful system of healing. Because qigong includes both dynamic and gentle techniques that can be practiced from standing, seated, and supine postures, it is suitable for both the young and the old. Practices can be tailored to individual needs making it an ideal aid to recovery from illness or injury. Qigong is a form of complementary medicine working well with other forms of therapy but should not substitute for necessary treatment by a physician. Healing Qigong (Yi Gong). Healing Qigong (sometimes translated “Medical Qigong”) is the preventive and self-healing aspect of Chinese medicine. We are all exposed to stress. Qigong teaches us how to control our reactions to stress so that life events do not cause such symptoms as high blood pressure, frustration, or anxiety. Healthy people practice qigong to become super-healthy. Healers use qigong to prevent “healer burn-out” and to maintain a positive presence. External Qi Healing (Wai Qi Zhi Liao). 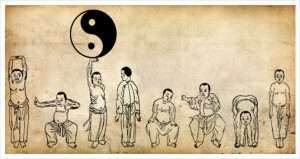 Qigong includes a sophisticated system of health assessment and non-contact treatment called External Qi Healing (EQH). The healer learns to tap into a well of healing energy in nature and “funnel” it through his or her body. Unlike some purely intuitive systems, EQH includes exercises that increase sensitivity to energy fields and efficacy of treatment. The more you practice External Qi Healing exercises and meditations, the more effective your healing treatment. External Qi Healing techniques may be used as a stand alone form of wellness treatment or may be combined with qigong massage, acupuncture, Therapeutic Touch, osteopathy, or any other form of body-work. Because treatment is generally performed at a distance from the body, EQH does not violate psychotherapists’ professional ethics (which do not allow touching the patient) and is thus an ideal adjunct to body-centered psychotherapy. In order to get the maximum health benefits from qigong self practice, moving or active qigong is believed to be more important than sitting or still meditation. This is because moving exercises increase qi circulation in specific organs and so restore their normal functions. Active Qigong is for maintaining health and longevity and curing illnesses caused by qi imbalances. To learn more about mediation and qigong residentially retreats. If you’re mostly interested in qigong for health and longevity, then qigong exercises derived from the Bone/ Marrow Washing Classics are typical qigong sets famous for being able to bestow strong and healthy bodies on dedicated practitioners. Qigong exercises derived from the Muscle/ Tendon Changing Classics (Yi Jin Jing) however, are said not only good for health but also have the added benefit of being able to increase the power of martial arts techniques. It is said Da Mo imparted these works to the Shaolin priests because he believed they where not strong enough for the rigorous demands of training for enlightenment. Both these books are often attributed to Da Mo the famous Indian Buddhist priest who brought Zen or Chan Buddhism to China, however it is more likely they were written and re-written by a number of different scholars and schools of thought before and after the fabled Da Mo. Nevertheless if we follow the traditional Shaolin view it is said Da Mo imparted these works to the Shaolin priests because he believed they where not strong enough for the rigorous demands of training for enlightenment. In truth a combination of exercises derived from the brain washing and tendon changing classic are likely to be the most beneficial depending on your purpose and existing age and health. 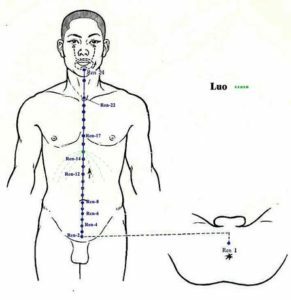 The main four main health qigong exercises recognised and promoted by the Chinese Health Qigong Association are as follows. Muscle-Tendon Change Classic (Yì Jīn Jīng 易筋经). Five Animals (Wu Qin Xi 五禽戲). Six Healing Sounds (Liu Zi Jue 六字訣). Eight Pieces of Brocade (Ba Duan Jin 八段錦). Tai Chi Yang Sheng Zhang (太极养生杖): a tai chi form from the stick tradition. Shi Er Duan Jin (十二段锦): seated exercises to strengthen the neck, shoulders, waist, and legs. Daoyin Yang Sheng Gong Shi Er Fa (导引养生功十二法): 12 routines from Daoyin tradition of guiding and pulling qi. Mawangdui Daoyin (马王堆导引术): guiding qi along the meridians with synchronous movement and awareness. Da Wu (大舞): choreographed exercises to lubricate joints and guide qi. Below is an official video from the Chinese Health Qigong Association providing an introduction to Qigong as a health exercise. Learn more about mediation and qigong retreats for health and longevity. 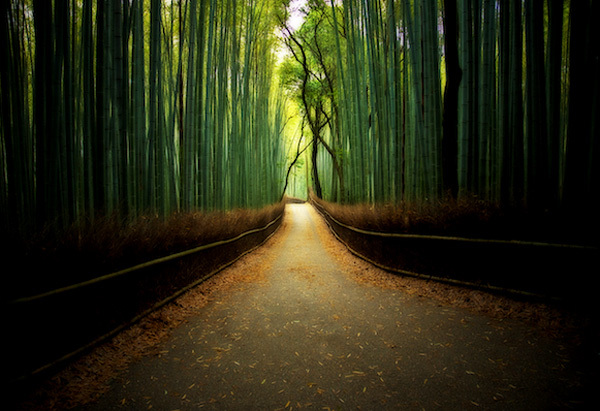 A path between a bamboo forrest. When we inhale, the air comes into the inner world. When we exhale, the air goes out to the outer world. The inner world is limitless, and the outer world is also limitless. We say “inner world” or “outer world,” but actually there is just one whole world. In this limitless world, our throat is like a swinging door. The air comes in and goes out like a swinging door. The air comes in and goes out like someone passing through a swinging door. If you think, “I breathe,” the “I” is extra. There is no you to say “I.” What we call “I” is just a swinging door which moves when we inhale and when we exhale. It just moves; that is all. When your mind is pure and calm enough to follow this movement, there is nothing: no “I,” no world, no mind nor body; just a swinging door…. This is a pure, clear interpretation of life. There may be many things like the white cloud and blue mountain: man and woman, teacher and disciple. They depend on each other. But the white cloud should not be bothered by the blue mountain. The blue mountain should not be bothered by the white cloud. They are quite independent, but yet dependent. This is how we live…. When we become truly ourselves, we just become a swinging door, and we are purely independent of, and at the same time, dependent upon everything. Without air, we cannot breathe. Each of us is in the midst of myriads of worlds. We are in the center of the world always, moment after moment. So we are completely dependent and independent. If you have this kind of experience, this kind of existence, you have absolute independence; you will not be bothered by anything.